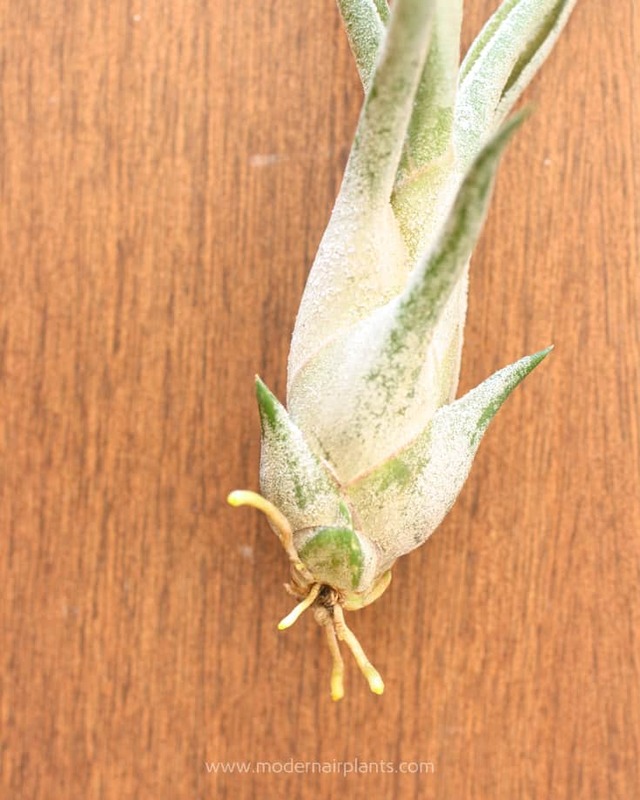 What to Do About Air Plant Roots: Keep 'Em or Leave 'Em? Even though air plants absorb water and nutrients from their trichomes, or sponge-like cells on their leaves, they still grow roots. 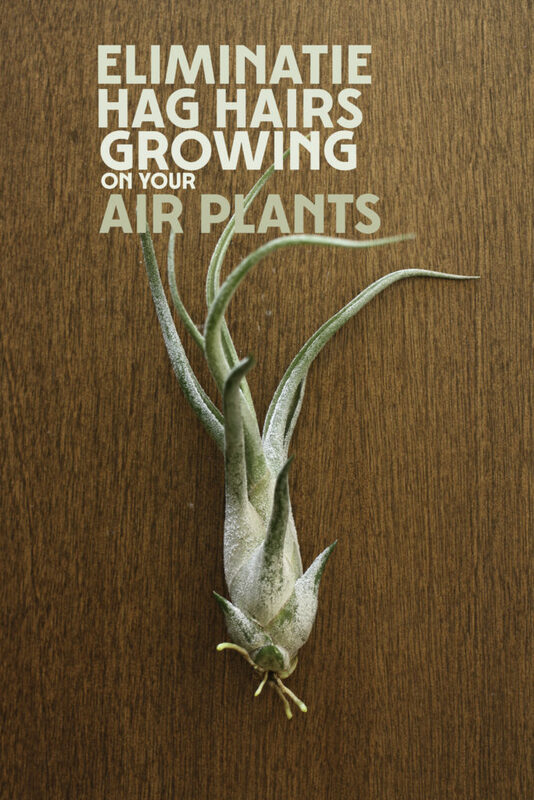 Find out why air plants grow roots and what you should do with them. Because air plant roots have been trimmed off before you buy them you may be wondering: Do air plants have roots? The answer is: Yes they do. Though they perform a much different function than roots do for other plants. Even though air plants absorb water and nutrients from their trichomes, or sponge-like cells on their leaves, they still grow roots. These roots perform a different function than the roots of most other plants. The sole purpose of these roots is to grab hold of a host plant. Air plants do not harm the host plant, they just need a good anchor. This may be a tree branch, a rock or even a telephone wire. 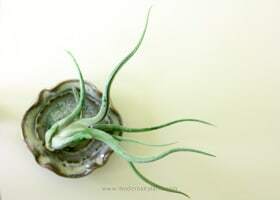 Can You Trim Air Plant Roots? 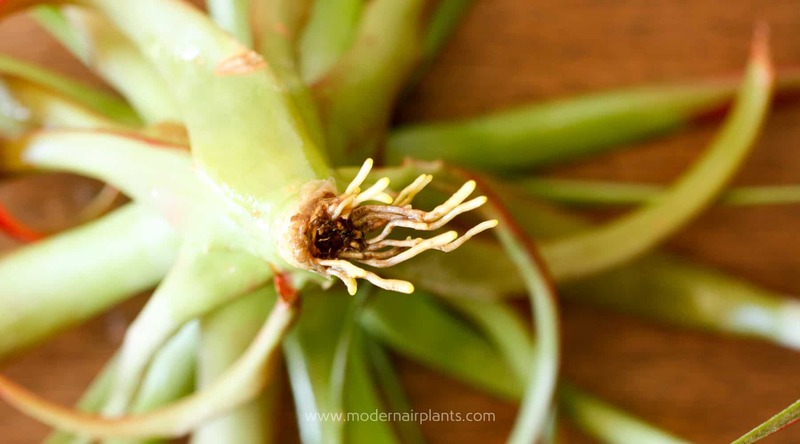 Air plant roots may be trimmed off without causing any harm to the plant. In fact, when you first purchase an air plant the roots will have already been trimmed off. Over time these roots will eventually begin to grow again. 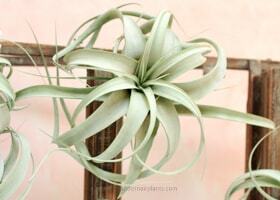 Another reason for using long-nosed scissors is for grooming an air plant clump. Roots will inevitably grow out from the center of the sphere. Check out the post below to learn more about air plant clumps. 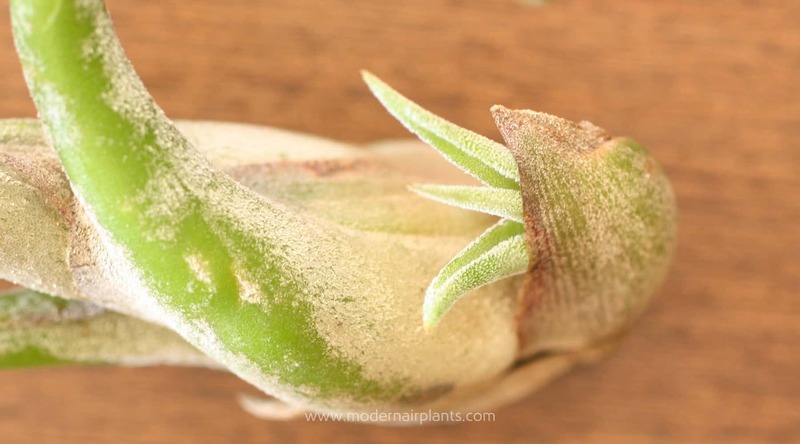 If your air plant has begun to grow roots, remember these roots are completely normal and can be trimmed off and the air plant won’t suffer a bit. Great question. To prevent overwatering, the best thing you can do is to let them dry up-side-down for at least four hours. You can let them soak for about an hour without any problems as long as you let them drain and dry really well. 2). 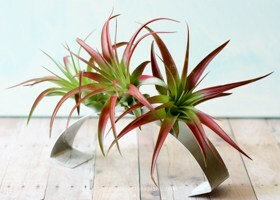 Do you know in there is a possibility of having air plants shipped to Trinidad. I will love to increase my collection, now that I am learning from your wealth of knowledge and experience. I am making inquiries and will let you know as soon as I hear back. 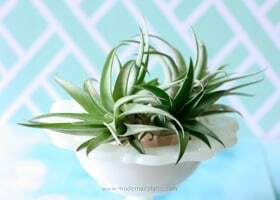 I have checked with several online air plant shops and because of customs restrictions they are unable to ship outside the US. I wish I had better news for you. If I hear of anything, I will be sure to let you know. I’m a new hobbyist and I love looking and caring at my plants, and I would love to dunk them in water, say for 30 mins every other day, would it be okay? tha nks. That watering method should work just fine as long as you let them drain and dry before returning the air plants to their displays.